US-27 South past Grant's Lick to Left on Hwy 154 (Peach Grove Rd.) Approx. 4 miles on Left. 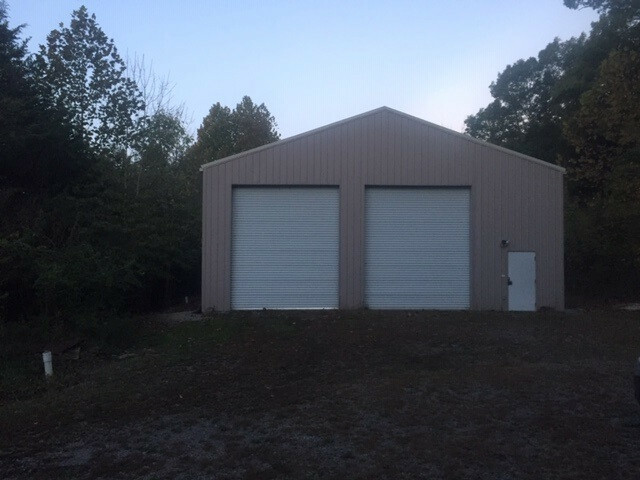 2+ Acres of land with 40x56 steel building with 4-14' overhead, concrete floor, workshop area & overhead loft storage in a portion of this building, tall ceilings - you can play basketball in this building - excellent for RV storage, private setting - plenty of height for a car lift.